Alvin Rittman knew the importance of this 2010 showcase. The Mariners scout helped gather volunteers and scouts for the event connected to the Houston Urban Youth Academy, continuing to get urban youth involved in baseball again. "This is where we're losing a lot of the kids in this grassroots stage," Rittman told MLB.com, "so we try to give back. This is the way we try to give back to the community, and for ourselves as well." Rittman worked to give back to the game as part of long career in baseball of his own. Rittman started his baseball life as a player, but quickly turned to his lasting role, as a scout. Rittman's career began in 1989, taken by the Mariners in the 48th round of the draft out of Bethune-Cookman University. The pro infielder also served as a pitcher in college. He picked up a win in a March 1989, going six innings and giving up two hits. He started with the Mariners at short-season Bellingham. The infielder got into 41 games, hitting .159. 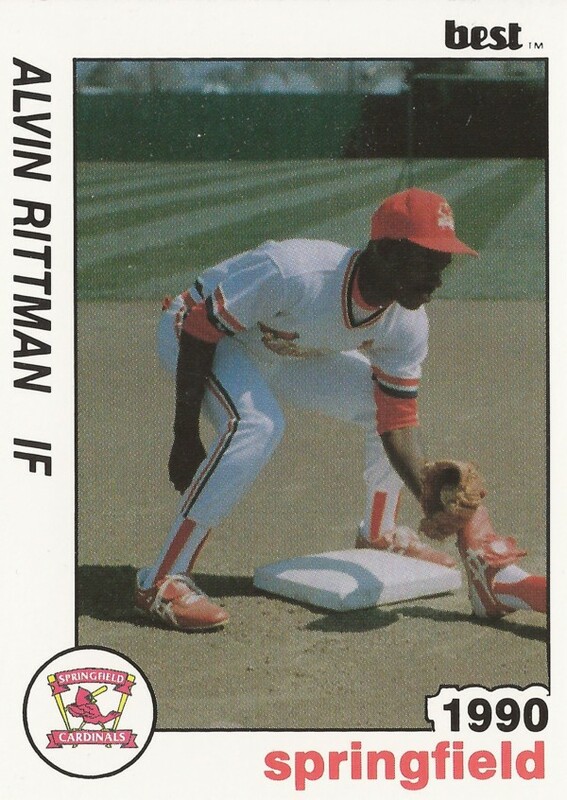 Released by the Mariners, Rittman signed with the Cardinals for 1990. In 81 games there, he hit just .175, ending his playing career. Rittman soon started his scouting career. The Blue Jays named him a scout in Florida in October 1991. By the next May, The Orlando Sentinel included Rittman among the "new-age baseball scouts" in a feature on the profession. Rittman has since scouted for the Reds and, more recently, the Mariners and the Pirates. He continues with the Pirates in 2017.